I note that Gwenno's wonderful (and award-winning) debut album 'Y Dydd Olaf' made a few people's best of 2015 lists. The only reason it was never even a contender for mine was because it originally came out in 2014. 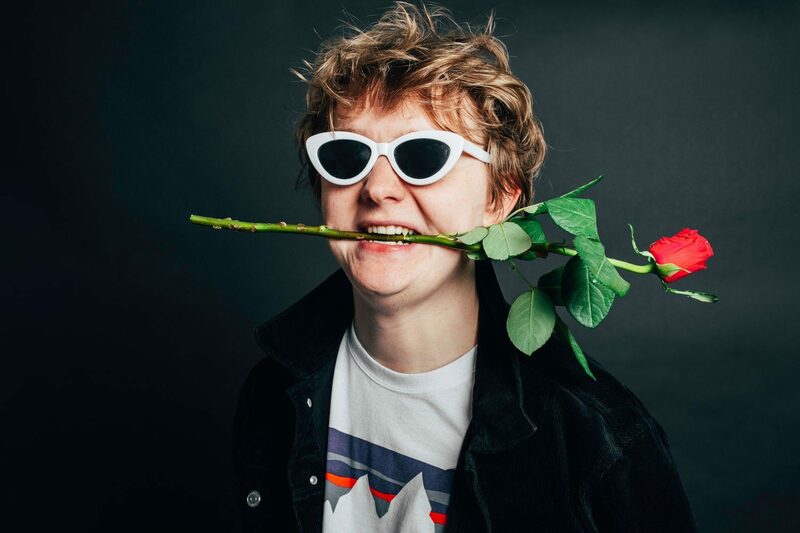 It did, however, win the 2015 Welsh Music Prize, Best Welsh Album at the 2015 National Eisteddfod, and was given the Deluxe Edition reissue treatment by her new label (the semi-legendary Heavenly). 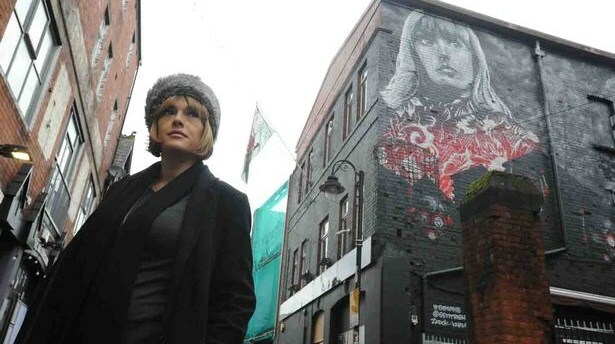 Add to that all the critical acclaim, radio airplay and numerous remixers clamouring to get their paws on its contents, AND having her face painted on the side of the famous Cardiff music venue Clwb Ifor Bach (see above), and I suppose you could claim 2015 is when it all happened for Gwenno. So why is she not world-bleedin'-famous while the terminally irritating "I've only got one song"-Adele continues to sell millions of turgid MOR ballads and gets her mug splashed over every single mainstream news article that so-much as mentions the word 'music'? Isn't life just so unfair? I featured a track from the album back last May, so today I'm giving you one of the new songs that appeared on the bonus disc of last year's reissue. Anthem Y Weriniaeth Newydd (trans. Anthem For A New Republic) really reminds me of Stereolab. It's largely instrumental with some lovely incidental vocals from Ms. Saunders, rather retro-sounding save for the very current electronics. I know Brian and CC were turned on to Gwenno the last time she featured here, and Swiss Adam is a fan as well. Maybe this one will convince the rest of you. 'Y Dydd Olaf' would also have featured prominently in my own top 20 albums of 2015, had it not actually been released the previous year. I certainly played it more often than a few of the others that did make the cut. Righteous rant in the middle paragraph there. Keep bringin' the Gwenno, Robster. She's not going to get Adele numbers, but you're doing your level best. Great art today too.